and now back to your regularly scheduled web site. . .
It’s been an up and down all over the place year. I have been focused on a lot of non wood working things, but not anymore. This summer I have committed to double the time I spend in the shop, join the local arts guild, do more and better shows, and start taking credit cards. I am doing 50/90 again too. I am working on a ton of new and old projects and getting ready for some local shows this fall. I have an etsy store now too. 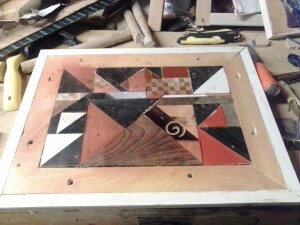 This entry was posted in 50/90, for sale, old projects, repurposeing, scrap wood, tables, wood working by brighid. Bookmark the permalink.